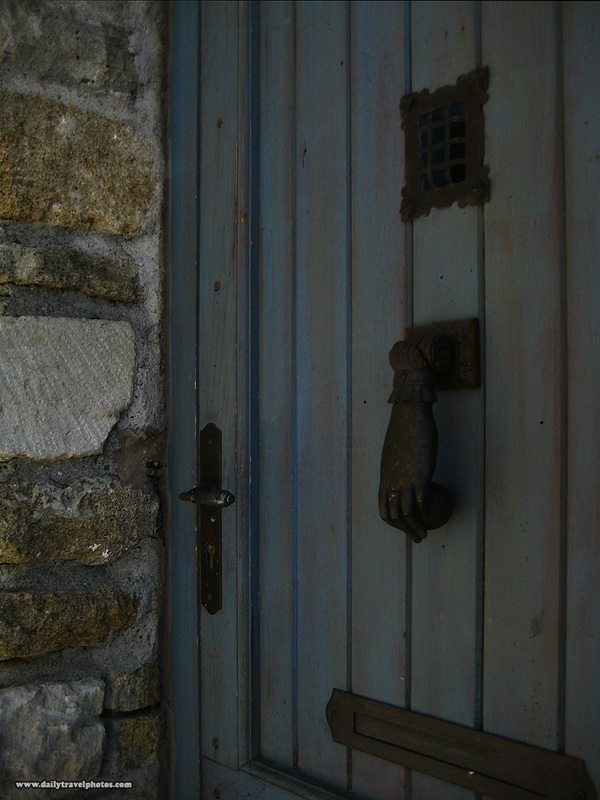 A metal hand grasping a ball swing on a hinge for a door knocker. Slightly disturbing, if you ask me. Frankly, I don't necessarily want to manipulate a severed hand to announce my presence at a door. I prefer a toot of the car horn instead.